Lanai and Molokai are places where you can enjoy beautiful Hawaiian landscapes in peaceful settings. Fortunately, one does not need to sacrifice a delicious meal on either of these islands. Here, there are many fine places for breakfast, lunch or dinner. But what if you wanted brunch? Are there brunch places on Molokai and Lanai? The short answer is yes. On Lanai and Molokai, there are restaurants serving brunch that could coax any traveler out of bed. Here are a few of our favorite brunch places on Molokai and Lanai. According to many, Kualapu’u’ Cookhouse offers some of the best foods on the island. With their brunch menu served from 7 am each Tuesday to Saturday, it’s a favorite to locals and visitors. The brunch comes with an array of omelets, loco mocos, corned beef hash and breakfast sandwiches. Breakfast at this restaurant is a must-do when on Molokai. The menu for Elsa’s Kitchen offers flavorful American, Hawaiian and Filipino dishes. From stacks of flapjacks to adobo fried rice, there is sure to be something for everyone at Elsa’s. If you arrival between 6:30 to 8:30 am, you can also get free hot beverages. So be sure to come early for your complimentary coffee or tea. The hot bread at Kanemitsu’s Bakery & Coffee Shop is legendary. Spread with cinnamon, butter or cream cheese, this delicious dish is a Molokai breakfast staple. Add bacon and eggs or buy some cinnamon apple-bread and taro-bread rolls for later. This laid-back bakery is the perfect place to get fresh hot bread in the mornings. It’s also a perfect place for pastries and breakfasts from 5:30 am every day except Tuesday. Although the Molokai Drive Inn looks a little off beat, it’s a long time local favorite. 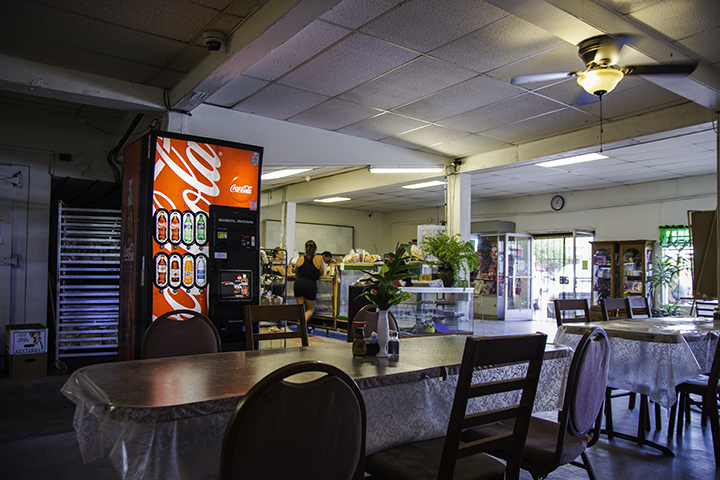 Open from 6 am daily, the Molokai Drive Inn’s breakfast foods do not disappoint. Famous for burgers, saimin and fried chicken, it also offers breakfast items at affordable prices. They include spicy sausage, loco moco, eggs and coffee. This restaurant has both an ideal location as well as great food. As a result, they make it one of the best brunch options on the island. The Sunday brunch menu is available from 8 am to 1 pm. There are scrumptious portions of waffles, streak, eggs as well as various vegetarian options. Brunch at the Lanai City Grille is a unique affair with its friendly staff, pleasant music and appealing menu. With a wide-ranging menu, One Forty offers brunch dishes piping hot as early as 6:30 am. They bake pastries daily and the menu has everything from breakfast burritos to ahi eggs Benedict. They also serve a variety of melons, papayas, tropical granola and other fresh local produce. Whatever you wake up craving, One Forty almost certainly will have it on the menu. But if not, their Create Your Perfect Breakfast menu option ensures that they will. See the sunrise at Blue Ginger Cafe. Here, you can get brunch from 6 am on weekdays and 6:30 on Saturday and Sunday. They bake their pastries and bread daily, including danishes, cinnamon rolls, pigs-in-a-blanket and even chocolate chip cookies. They also serve omelets, pancakes, ham, bacon and French toast. You can even get saimin for those preferring to start the day with Hawaii’s favorite comfort food. From its checkered table cloths to scent of warm bread, you’ll feel at home at the Blue Ginger Cafe. This restaurant serves traditional breakfasts from 6:30 am to 1 pm Sunday through Thursday. On Friday and Saturday, menus extend through dinnertime. This welcoming mom-and-pop eatery is famous for its classic Hawaii dishes. Brunch items include Spam, bacon, crepes, loco moco, macaroni salad and more. The Four Seasons Resort Lanai’s Terrace is an idyllic and serene place to enjoy brunch. Guests can dine on brunch from 6:30 to 10:30 am each day at this restaurant by the sea. Sip on cool fresh-squeezed juices or order unique sides such as chicken-mango sausage, miso soup and apple wood bacon. You can also sample challah French toast, kiawe-smoked salmon and rice congee. And then, there are egg frittata, steel cut oatmeal and even an assortment of tropical fruit. A far cry from other places on the island, this fine-dining experience begins at a leisurely 7 am. So you can see, there are a wide range of options if you’re looking for brunch places on Molokai and Lanai. Stop by any one of these places for a satisfying meal.